Still wondering where to head out this weekend? Stop worrying about your woes and take full advantage of the extended monsoon this year with Small Steps Adventures! You love the outdoors and are keen to encourage your friends or family members to do the same. They may or may not reciprocate. What do you do at such times? Your best bet would be to introduce them to a facet of nature that offers multiple options in the adventure and relaxation arenas. Bhandardara, as the name suggests is the land with an abundance of waterfalls. Also, it is one of the best places to visit in Maharashtra for people of all age groups. It is located in the Ahmednagar district and is in close proximity to Igatpuri, another popular holiday spot. We at Small Steps Adventures through our experience, have curated a list of ten must-visit places in Bhandardara for you. Bhandardara dam also known as the Wilson Dam, this is one of the oldest dams built in India. It harnesses the water of the Pravara River and is at a height of 150 m above the sea level. The sluices of Bhandardara dam are opened during the monsoon to release the excess water. There is a lovely garden at the base from where tourists can delight themselves with this view. 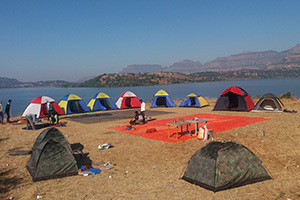 Bhandardara Camping is famous for Lakeside Camping where you can enjoy a tent stay near the lake, campfire, Music, barbeque and many more. Adventure lovers can trek up to the pinnacle of Kalsubai and achieve the accolade of scaling the highest peak in Maharashtra under their belts! 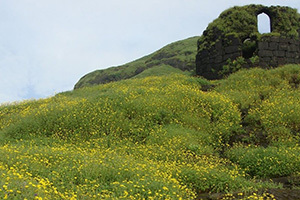 The best time for a trek to Kalsubai would be during late September and October when the monsoon is just retreating. The landscape is a treat for the eyes with heart-warming views of lush green paddy fields, mountains, and more mountains. The peak boasts of a spectacular panorama which no camera except the human eye can best perceive and appreciate. This serene emerald colored lake is a reservoir created by Wilson Dam and is one of the mandatory places to visit in Bhandardara. There is a belief that Rishi Agastya had meditated at this spot for a long time and in return had been blessed by Lord Shiva with a stream of the Ganga which came to be known as the PravaraRiver. Arthur Lake is circumferenced by a thick cover of vegetation and is an ideal place for camping near Mumbai. 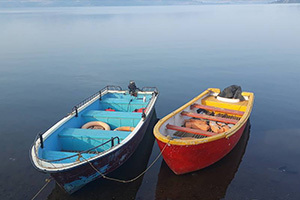 Tourists can also opt for boating in this lake and it is the chief source of transport available to access the nearby villages of Bari and Ratanwadi. Randha Falls is located close to both the Wilson Dam and Arthur Lake and is a mighty waterfall that cascades from a height of 170 feet into a deep ravine. It is considered to be the third largest waterfall in India and is a chief attraction during the rains when the Pravara roars it’s mightiest! This waterfall is also the chief source of hydropower in the Bhandardara region. There is a temple of Ghorpada Devi near the banks where one can sit back and contemplate peacefully. Located at a distance of 17 km from Bhandardara, this ancient Shiva temple is believed to have been 1200 years old! 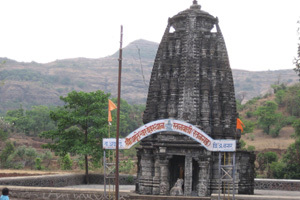 It is situated at Ratanwadi, the base village for commencing a trek to Ratangad. This temple houses some intricate carvings on fine black rock and depicts the Hemadpanthi style of architecture. The best mode to reach this temple would be by a boat from Arthur Lake as the road leading to the temple is not well constructed. Adding to the long list of waterfalls in Bhandardara is the Umbrella Falls created by the excess water of the Wilson Dam. 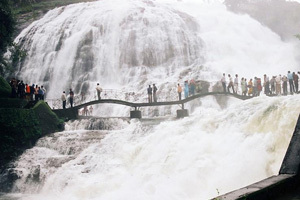 Active only during the monsoon, it is one of the very popular Bhandardara sightseeing places. 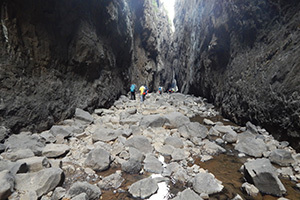 The place is easily accessible as it is located about 500 m from Bhandardara Bus Stand. There is a bridge near the waterfall from where the tourists can get a good view and click lots of pictures and selfies! This place has found a mention in the Hindu epic Ramayana, among several other mythological stories. This mythical ashram is believed to have been the abode of Rishi Agastya who had performed severe austerities. It is said that the Rishi had gifted an arrow to Lord Rama which helped him kill the demon king Ravana. There is also a cave situated close to this ashram which is claimed to have been inhabited by Rama, Sita and Lakshmana during their stay at Panchvati. This 400-year-old fort rests at an altitude of 4250 feet. It was an important fort during the reign of Shivaji Maharaj who had conquered it from the Mughals. It has a natural cavity at its peak which is known as the ‘Eye of the Needle.’ The fort houses two caves, a smaller one which can accommodate 8-10 people whereas the larger one can accommodate 40-50 people comfortably. This makes it an ideal cave camping option in Maharashtra. The trek is fairly simple and can be undertaken by beginners who will be delighted to walk through fields and forests and also get to cross the Pravara River while on the trail. This is one of the most picturesque locations offering a combination of a canyon and a valley and has been aptly dubbed as the ‘Valley of Suspense.’ This water carved valley is approximately 200 feet deep and stretches on for 2 km. 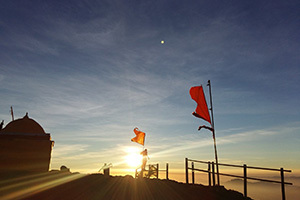 It is surrounded by the mighty trio of Alang, Madan and Kulang in addition to the peaks of Ratangad, Kalsubai and Ajoba. At the end of the valley, one gets to witness a breathtaking view of high cliffs and deep valleys. 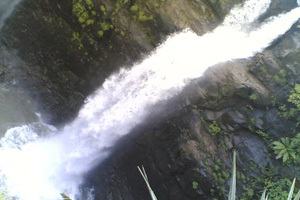 One can also experience the rare sight of a reverse waterfall at Sandhan valley! This fort is a very popular trekking destination. It is located about 50 km from Bhandardara. The fort has been a witness to many generations of rulers who utilised its strategic advantage during their rule. There are many temples dedicated to Lord Vishnu and Hanuman all over the precinct of the fort. The most famous, however, is the mythologically crucial Kedareshwar Cave dedicated to Lord Shiva. Do not miss the gorgeous view from Taramati, the highest point of Harishchandragad and the third highest peak in Maharashtra. The Konkan Kada is also another famous spot which should not be missed by avid trekkers.